The spinal cord extends down the middle of the spin and branches off to nerve roots. The nerves come out of the vertebrae. When you turn, the vertebra may get stuck and compress the nerve as it exits the spinal cord. This condition is known as a pinched nerve. It’s very painful because it’s the direct root that comes off the spine. A pinched nerve in the mid-neck or upper back area can cause pain that radiates down the arm. Pinched nerves in the lower back region can cause sciatic pain right down to the legs and toes. A pinched nerve in the upper neck and lesser occipital nerve can cause headaches. There are a variety of circumstances that can cause the compression of a nerve. Repetitive motions and holding the body in one position for long periods of time can cause pressure on a nerve. Other coexisting conditions like a herniated disc can put pressure on a spinal nerve and cause pain. Additional causes of pinched nerves include injury, poor posture, rheumatoid arthritis, sports activities, pregnancy, bone spurs and obesity. Nerve compression often occurs when a nerve is pressed between tissues, such as bone, tendon and ligament. Pinched nerves can also lead to scarring, peripheral neuropathy, carpal tunnel syndrome and tennis elbow. If your physician suspects a pinched nerve, he may order some tests. With a nerve conduction test, the electrical nerve impulses are measured in the nerve signals. An EMG is a test that evaluates the electrical activity when the muscles contract and are at rest. An MRI produces detailed views of the body in multiple planes to diagnose a pinched nerve. Both physical therapy and chiropractic care are effective treatments to relieve the pain associated with a pinched nerve. At our office, we use a variety of modalities to treat pinched nerves, including cold laser, ultrasound ice, strengthening exercises and soft tissue massage. The goal is to reduce pain, improve mobility and decrease stresses placed on joints and discs. Chiropractic manipulation helps straighten out the spine and alleviate the pressure of a pinched nerve. It actually fixes the cause of the problem instead of masking it. At 1st Choice Health & Wellness, our team of physical therapists and chiropractors offer a comprehensive approach to treating pinched nerves. Our holistic approach includes chiropractic care, physical therapy, and nutritional counseling. Our physical therapy treatment plan includes electrical stimulation, manual therapies, exercise, heat and cold therapy and exercise as part of rehabilitation. 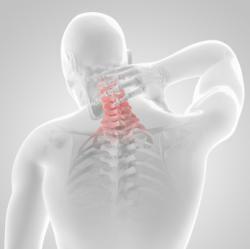 We also use state-of-the-art technology in chiropractic care. We utilize the Pro-Adjuster Treatment System. This computer controlled instrument introduces a gentle mechanical force to the body and measures the body’s response through a system of sensors. It reports the data to our specialists. Our chiropractors also offer spinal adjustment. For more information or to schedule an appointment, call us today at (812) 945-4500!